Skin-perfect complexion with ever-lasting youth is the goal of every individual. Although laugh lines are the symbol of a well-lived life, brown-colored patches on our faces do not give us the same positive impression. Skin pigmentation is also known as skin discoloration and often appears due to several causes. Sun exposure, hormonal changes, genetics, medications, and diseases are only a few of the most common causes. Looking into the mirror and noticing a face that looks dull with an uneven skin tone seems like a horrible nightmare. Some causes are harmless and can only endanger your perfect look. Yet, others will require medical attention in case treatment is necessary. It is important to understand what may have caused your skin to change in order to deal with the problem for clearer and brighter skin. Hyperpigmentation occurs on our skin when the skin produces more melanin which is the pigment that gives skin its color. It can lead to the appearance of darker spots or patches of skin than the surrounding areas. Often, extra pigment in some areas of the skin is harmless and only affect one’s appearance. Yet, sometimes they may indicate another medical condition which needs medical attention. The most common types of skin pigmentation include age spots, melasma, and post-inflammatory hyperpigmentation. Read below the symptoms, body parts prevalent to their effects, and who these conditions can affect. One of the reasons for your uneven skin tone may be the common human characteristic named freckles. 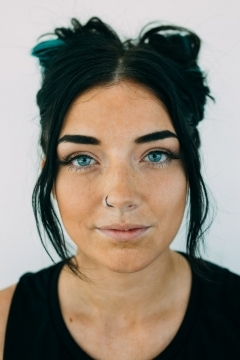 Freckles are small and concentrated spots of a skin pigment called melanin. Melanin is the protein existing in the human body which is responsible for our skin, hair, and eyes colors. Melanin is also the protein which acts as a natural sun protector. Freckles are usually a result of genetic factors combined with environmental factors. Freckles do not develop until the skin has been exposed to sunlight. Therefore, UV light and your melanocytes have to work together for them to appear. Summer is the amazing season of the sea, sand, and refreshing drinks. However, it is also that time of the year that we are most likely to see uneven pigmentation appearing on our faces. People may get numerous freckles on their skin after long exposure to the sunlight. However, in winter those freckles fade. The reason that stands behind this phenomenon is the fact that the freckles represent the body’s effort to protect skin cells from UV damage. Although freckles may also become permanent, the UV damage on our skin may not be visible until we get older and get aging skin. The so-called sunspots can become dark and permanent sports on your face and make your skin lose its bright shine. Sun exposure may also influence the age spots and post-inflammatory hyperpigmentation spots by making them even darker. Melasma is another condition that triggers skin pigmentation and uneven skin tone. Large patches of hyperpigmentation start to develop mainly on the face of an individual. This condition can affect both men and women. However, it is most common in women as it is thought to be triggered by changes in hormone levels. Pregnant women often experience melasma condition as well as women taking oral contraceptives. Hormone-induced excess pigmentation is also commonly called “the pregnancy mask”. It is also common to be experienced by women after menopause when the sun damage of your youth skin becomes visible as so-called age spots. Age spots are caused by extended sun exposure. They appear mainly on body parts which have been frequently exposed to the UV light including face, neck, décolleté, hands, and arms. Age spots are a common form of hyperpigmentation and appear as small and darkened patches of skin. Another condition that causes uneven skin tone is called post-inflammatory hyperpigmentation. It occurs when a skin injury or trauma such as cuts or burns heals and leaves a flat area of discoloration behind. It is commonly a condition experienced by those people who suffer from severe acne. Other factors such as birthmarks, scarring, and skin cancers can cause patches of skin to become darker and unappealing. The hyperpigmentation of skin may also be a concerning factor. It can be a symptom of certain illnesses including autoimmune and gastrointestinal diseases, metabolic disorders and vitamin deficiencies. Hyperpigmentation may also be a reaction to certain medications. Antimalarial drugs, antibiotics, chemotherapy drugs, and anti-seizure drugs can cause patches of skin that turn gray. Topical treatments may also contain certain chemicals that sometimes cause hyperpigmentation. If the hyperpigmentation occurs with other symptoms including fatigue and weak muscles, nausea, weight loss, or stomach pain, it is essential to see a medical specialist immediately. Those symptoms may show a life-threatening condition if it is not treated accordingly. Pigment spots are usually harmless unless they are the symptom of a life-threatening medical condition such as skin cancer. However, although they do not put the health to risk, they can certainly affect someone’s self-confidence as the skin starts to look uneven. There are a lot of possible treatment and prevention methods for those who wish to keep their youth skin as long as possible. Avoiding sun exposure and avoiding picking at skin after an injury are the best methods to prevent hyperpigmentation from becoming more prominent. Also, for people who wish to get rid of the unappealing darker spots on their skin, there is also a wide range of creams and cosmetic procedures that can lighten areas of skin. One of the most famous pigmentation removal treatments is the laser therapy that treats open pores, sun damage, and brings the skin back to its optimal health. Human skin comes in a wide variety of tones, ranging from shades of dark brown to almost white. An individual’s skin tone is influenced by many factors including the pigment called melanin. Skin pigmentation will result in darker spots on the skin which can vary in size and can develop anywhere on the body. Prevention is the best way to ensure your skin will look healthy and perfect as long as possible. Yet, once you have pigment spots, there are also many steps you may take to help them fade.